Asheville Community Theatre (ACT) has lined up 28 local restaurateurs, realtors, doctors, politicians and more to turn in their time sheets and step into the spotlight! 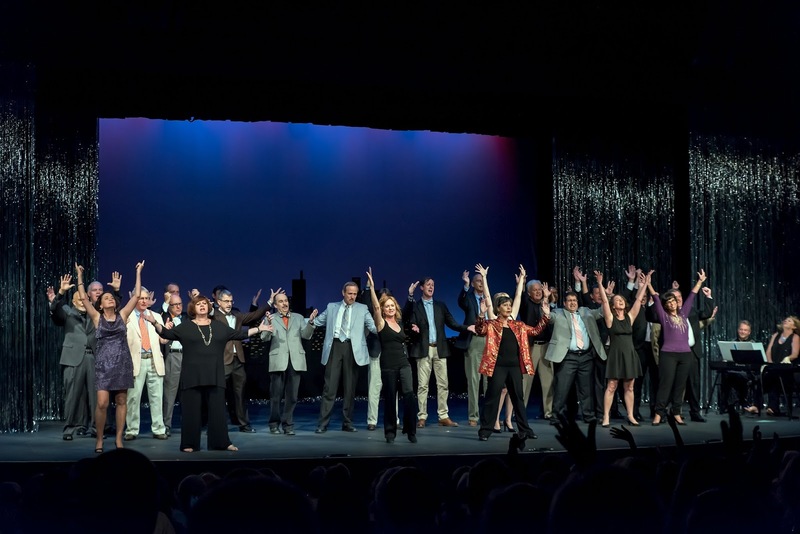 These business owners, entrepreneurs, and are ready to prove that “there’s no business like show business” for Business Sings Broadway, a fundraiser that will feature songs from the silly to the sublime. Business Sings Broadway will be held on the Mainstage at Asheville Community Theatre on Saturday, September 10, 2016 at 7:30 pm. Tickets are $20 and are available at the ACT Box Office, by phone at 828-254-1320, or online at ashevilletheatre.org. Business Sings Broadway was unveiled in 2014 as a summer fundraiser for the theatre. This year’s cast features returning folks like Joe Scully (Chef/Co-Owner, Chestnut, Corner Kitchen), Holly Jones (Bincombe County Commissioner; Director of Member Services, YWCA USA) and Frank Salvo (Owner/Innkeeper, 1889 WhiteGate Inn & Cottage) as well as newcomers including Dr. Barry Pate, realtor Tasha Pepi, and Jay Richardson, New Belgium Brewery’s general manager. “We’d certainly encourage these folks to audition for any of our shows!” added Crouch. Asheville Community Theatre will also unveil “The Capital Asset,” a new signature cocktail for the fundraiser. Cash bar will be open prior to and throughout the performance. Proceeds raised through Business Sings Broadway will support operations at Asheville Community Theatre, a volunteer based non-profit theatre entering its 71st year. Asheville Community Theatre is committed to building community by providing opportunities to collaborate on creative projects.